Not since 1987, when I returned to California from the Falkland Islands via London, have I been to Europe. It’s partly that, spending several months every year in the Southern Cone countries for work-related travel, I’d rather spend the rest of the year at home than travel through multiple time zones (as I’ve noted elsewhere, the jetlag issue is not so significant traveling to South America). I did fly once to Australia, invited by my former publisher, but Europe’s remained a low priority. Last fall, though, I was surprised to read that Norwegian Airlines was beginning flights from my hometown of Oakland direct to Oslo, Stockholm and Copenhagen. 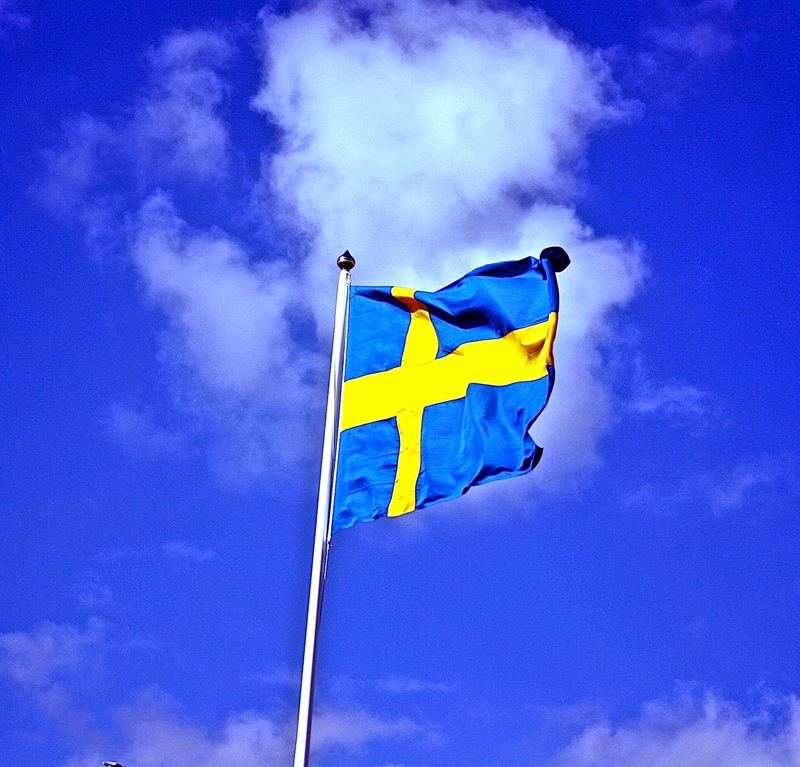 Given my own Scandinavian heritage, with grandparents from both Norway and Sweden, my wife and I bought up some of the early discounts tickets and, tomorrow, we fly into Oslo, spend a few days there, rent a car to visit some of my distant relatives in western Sweden, and then take the train to Stockholm. From there, we will visit other relatives in Uppsala before flying back to California. That doesn’t mean I’ll be ignoring my Southern Cone specialties. Both Norway and Sweden got substantial numbers of refugees from the region in the 1970s, and I’m curious to see signs of their legacy. 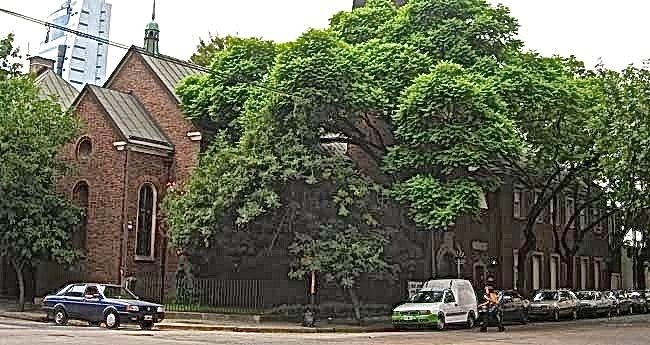 In that context, it’s interesting to note that Boca Juniors, Argentina’s most successful soccer team, supposedly chose its colors after seeing the Swedish flag (pictured at top) at the nearby port of Buenos Aires, and San Telmo’s Svenska Kyrkan (Swedish church, pictured above) is a Scandinavian landmark. I hope to include additional information on this blog, if time permits, and will probably issue more frequent updates on my Facebook page and also on my Twitter account. 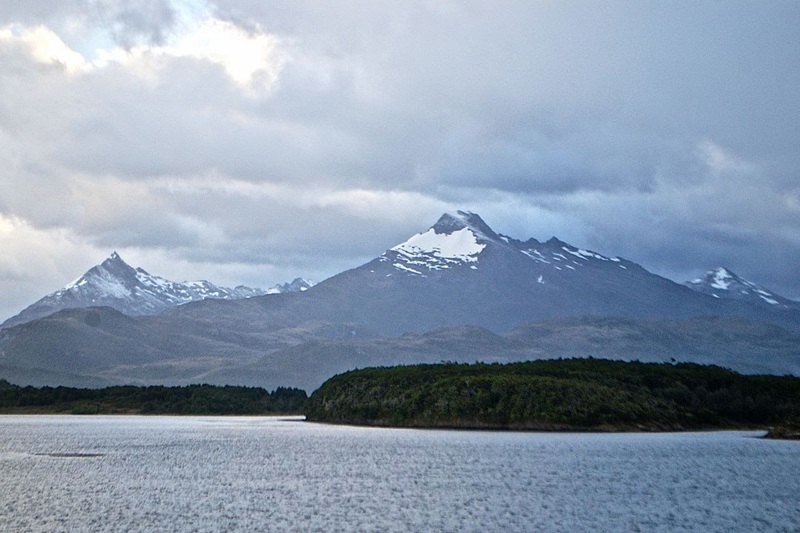 A few months ago, I wrote a preliminary accountof my Navimag voyage from Puerto Natales to Puerto Montt, on the company’s newly acquired M/N Edén. Given that the vessel had started serving the route on short notice, only a few days earlier, that post was never meant to be definitive, but now I feel confident enough to suggest what the experience may be for the upcoming season and beyond. 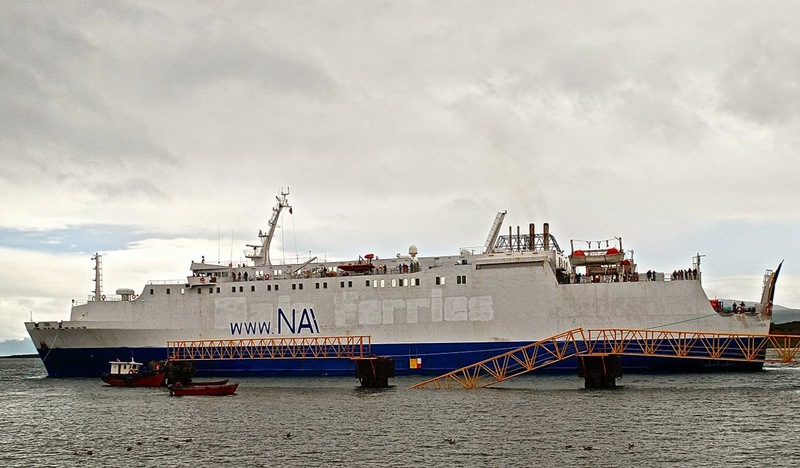 First, to recap the vessel’s history: Between 1984 and 2010, France’s Société Nationale Maritime Corse Méditerranée (SNCM) operated the combination cargo and passenger ferry as the Monte Cinto, connecting Marseille with Corsica. Then, after being sold to Baja Ferries, it became the Mazatlán Star, connecting the Mexican mainland with the peninsular port of La Paz, in Baja California. 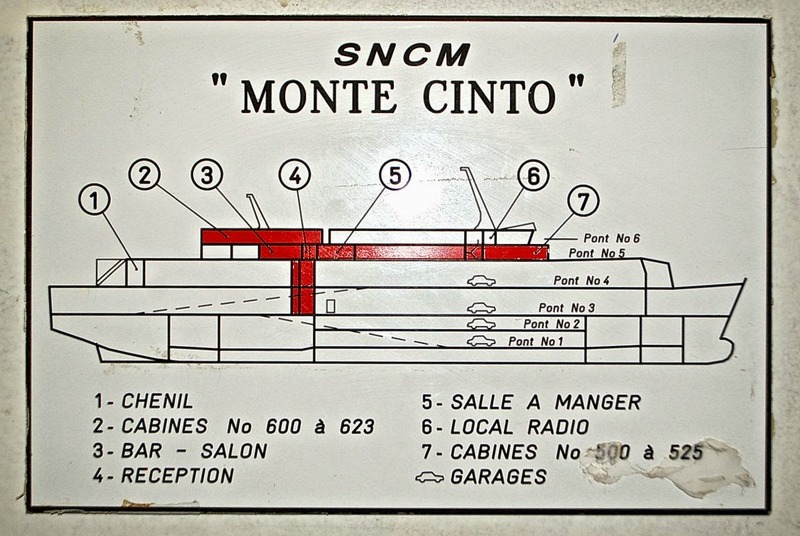 When I boarded the vessel in mid-February, faint outlines of the name “Monte Cinto” remained visible on the stern, and the hull still bore SNCM’s blue and white color scheme (which, ironically, closely resembles the flag of Argentina rather than Navimag's signature red). In fact, the outline of “Baja Ferries” was also visible, though painters were adding “Navimag” to both the port and starboard sides. The Mexicans, for their part, had never even bothered removing hallway posters of SNCM’s Mediterranean destinations. 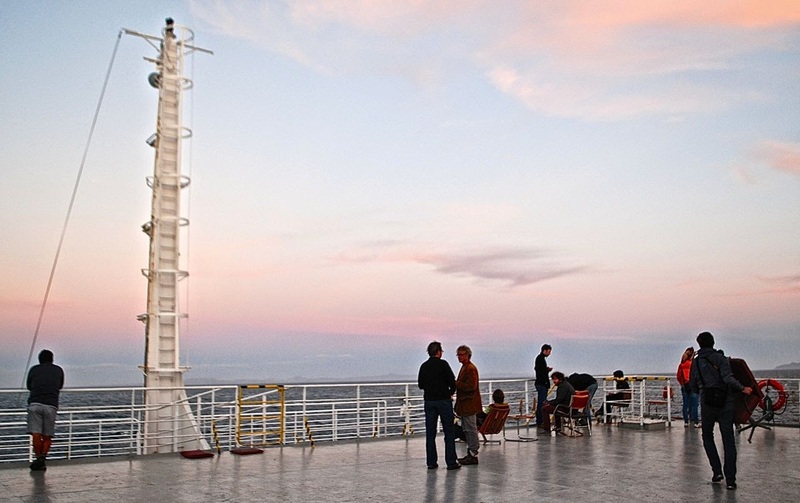 The night before the Edén sailed from Natales, I heard complaints from arriving German passengers who called it “dirty,” but that was not my experience. It might have been fairer to call the interior “worn,” and to remember that the ship was suddenly placed to satisfy demand for a service that had been suspended for most of the season. What it will look like in the upcoming season is the issue, and I’ll try to address that issue on the basis of my own experience and conversations with Navimag management. On the basis of my experience, the M/N Edén is work-in-progress, which will soon look very different. That said, it’s important to remember that this is a mixed passenger-cargo ferry – it is most definitely not a cruise ship like the Stella Australis (pictured above), operated by another division of the same company. 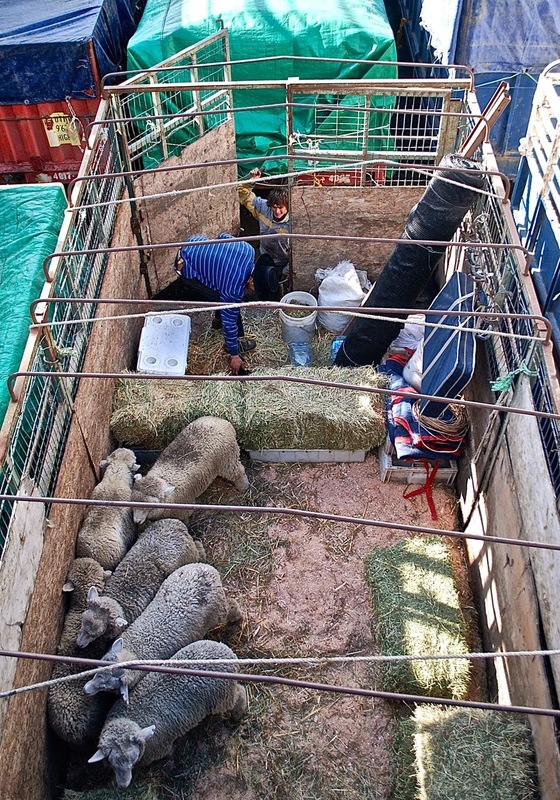 Rather it carries a maximum of 140 passengers in closer quarters and a large amount of freight, including livestock – cattle, horses, sheep, and dogs – in trucks on the lower decks. It also provides free transportation for the Kawéskar people of the village of Puerto Edén (Isla Wellington) in what is their only regularly scheduled link to the outside world. One reason for changing vessels is that the Edén has a larger cargo capacity but, though the passenger quarters are likely to undergo some changes, their capacity will probably not increase. 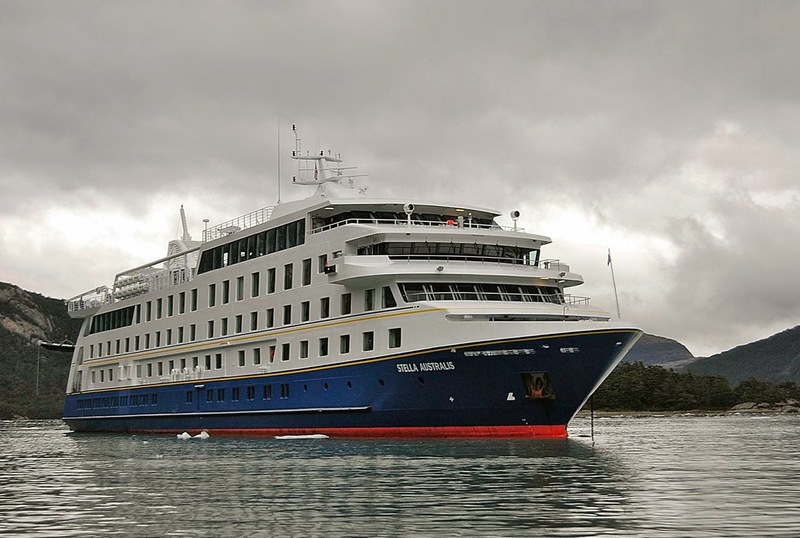 For its earlier Mediterranean and Mexican runs, it could accommodate additional passengers on reclining butacas in what is presently the audio-visual lounge, but that’s not suitable for three nights through the channels and fjords of Aisén and Magallanes. 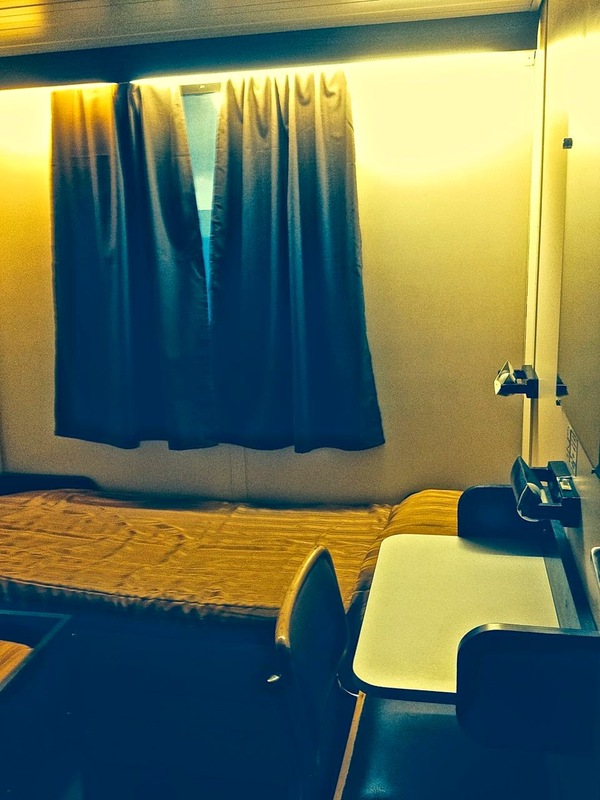 My own accommodations were a compact cabin with private bath, measuring roughly eight by twelve feet (2.5 by 3.5 meters), with two single beds placed at right angles to each other. It had its own bath and, I was pleased to learn, the hot shower water arrived immediately – in complex plumbing, that can sometimes take a while. Nevertheless, it had a view obstructed by lifeboats and, to see the scenery, I really had to go outdoors. Some cabins have no views and private baths, while others have shared baths, and the carpets need to be replaced. The common areas also needed work and, over the southern winter, they’re likely to get it. The cafeteria, for instance, was too small to accommodate all the passengers at once, so we had to have lunch and dinner in shifts (breakfast is not an issue, as people straggle in throughout the morning). As yet, there was no formal bar; though beer and wine were readily available, the customary pisco sour was not. 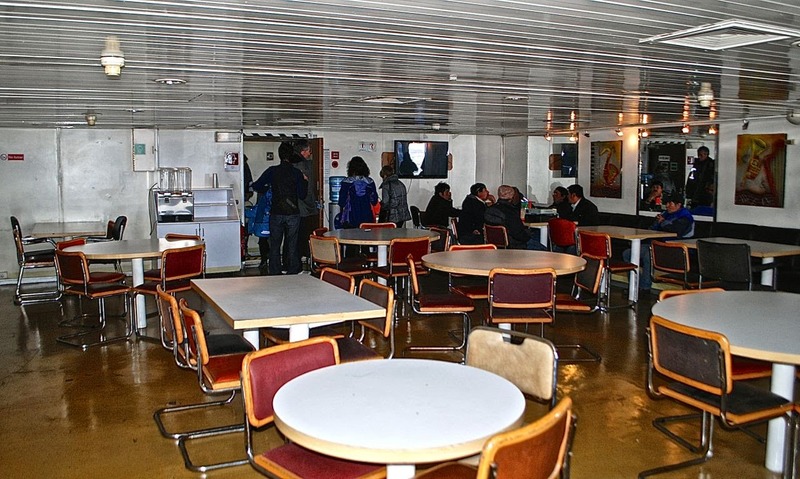 I have suggested that they expand the cafeteria into the adjacent audio-visual salon, which is larger than it needs to be, and to replace cafeteria windows that have fogged with age and salt spray – a great part of the attraction of this voyage is the views. Those views are still available, but mostly from the open decks at the bow and on the stern – wind and weather permitting. That’s one reason I’ve done this voyage so many times but, given the Edén’s reduced capacity, potential passengers should make their plans well in advance for the 2014-15 season. 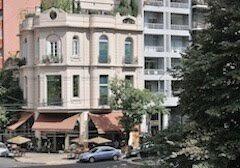 Recently, on the BA Expats website forum in which I occasionally participate, there’s been a debate about where to buy wines in Buenos Aires. 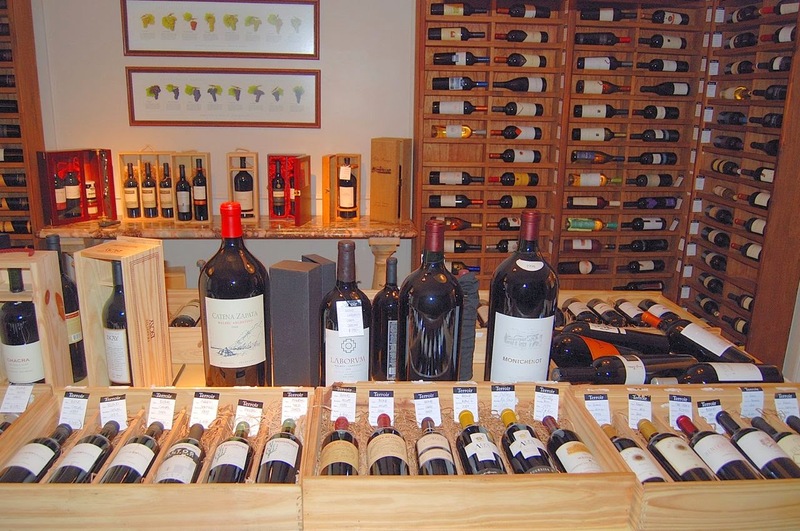 Leaving aside considerations of price, the consensus is that specialty wine shops are best (Palermo’s Terroir, pictured below, is an outstanding example), but I would argue that supermarkets such as Carrefour and Disco have dedicated wine departments with a broad selection of vintages. The least desirable source, also by consensus, is the city’s chinos, to use the colloquial term for its corner groceries (many of them run by ethnic Chinese, but some by Koreans). While I’ve bought perfectly good wine at the chino around the corner from our apartment, it’s probable that storage conditions may be sub-optimal in a city where summer temperatures often reach 35° C (95° F), even when the locale in question has air-conditioning. Meanwhile, though, I’m back in California without the same access to South American wines that I would have in Argentina or Chile, I still manage to find them at variety of sources. Probably the best, in my part of the East Bay, is the Wine Mine, which carries moderately priced premium vintages from those two countries and even a sample from Uruguay, and offers very inexpensive Saturday tastings (just US$1, occasionally from South America). More frequently, though, I choose my wines at Berkeley Bowl, where I do my weekly grocery shopping. 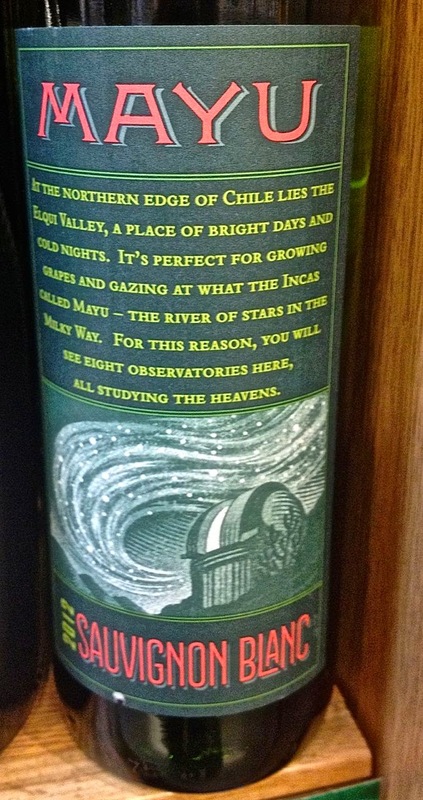 In addition to a spectacular variety of produce, it carries a selection of wines from around the globe, including uncommon vintages, such as the Mayu Sauvignon Blanc (pictured above) that I bought yesterday, from lesser-known regions from Chile’s Elqui valley. I haven’t yet opened it, but the combination of dry warm days and cool nights is ideal for premium whites. Of course, both Wine Mine and Berkeley Bowl are easily accessible only to East Bay residents, but there’s another option – comparable in some ways to the chinos of Buenos Aires. For many years now, my wife and I have done selective shopping at Grocery Outlet, which we jokingly call “The Used Food Store” because it carries discount items at bargain prices. While most of Grocery Outlet’s products are basic, it has a surprisingly large wine section that, in all likelihood, come from distressed shipments. Once, several years ago, I found a remarkably good Argentine Torrontés from French winemaker Michel Rolland for about US$5 per bottle; later that same year, when I returned to Buenos Aires, it cost more than twice that. Last year, I found a Spanish Charquiño Albariño 2011, which usually goes for around US$15 per bottle, for the same price. 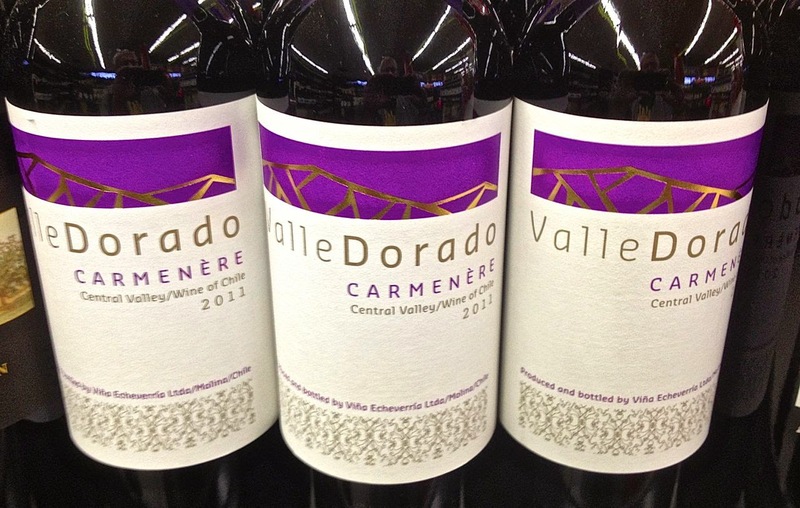 Yesterday's choices included the 2011 Chilean Carménère pictured above. 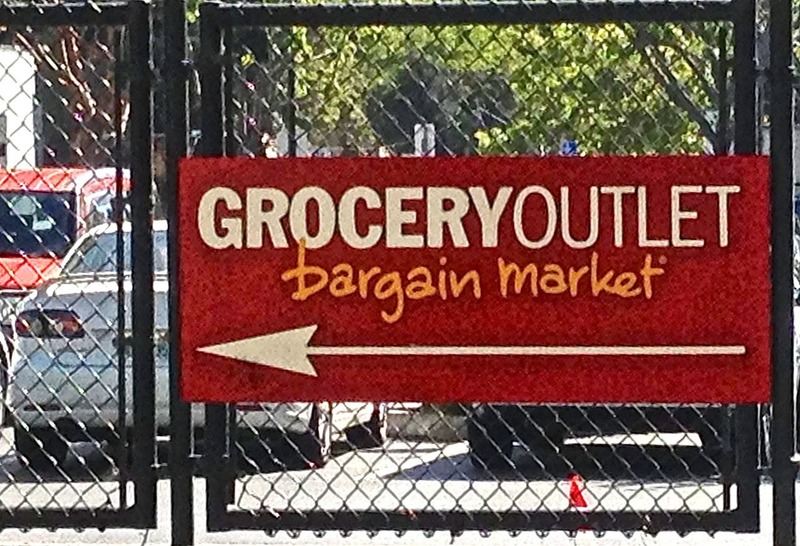 Based in Berkeley, Grocery Outlet has stores in all the Pacific states and those that border them, as well as Pennsylvania, so it serves wine-lovers on a budget in many locations. It also has drawbacks, though - prices are modest, but much of its inventory comes from overstock elsewhere and the turnover is substantial, so there’s no guarantee that a given wine will consistently be available. Thus, consumers need to be savvy when purchasing wine here – it can be something of a lottery. One rule of thumb is not to buy a white older than two or perhaps three years; my usual tactic is buy a single bottle, which rarely costs more than US$5-6, and sample it at home. If it hasn’t turned to vinegar, and I like it, I’ll go back for more; last year, for instance, I bought out the final dozen bottles of the Charquiño. For further guidance, there’s an independent blog that goes by the whimsical title of Grossoutwine (non-native English speakers, please note: the colloquialism “grossout” is best translated as asqueroso, but it’s really a pun on the store’s name). In accessible language, the site reviews what’s in stock, and is searchable: see, for instance, the most recent offerings for Argentina and Chile. Though I’ve written smartphone apps to Argentina and Chile, I missed the opportunity to do separate apps on Buenos Aires and Santiago. Though my own apps contain substantial material on both capital cities, other authors managed to take on the task before I could, and I recently had a chance to test out Gabriel O’Rorke’s Santiago City Guide. Having met Gabriel briefly last year, I can say that she’s a cheerful and personable Scot whose name is misleadingly masculine and Irish (among Chileans, she goes by “Gabriela”). Because she’s a year-round Santiago resident, she has the advantage of frequenting spots that I see only occasionally (though I visit the city every year and once wrote a guidebook to it for a publisher best unnamed here, I rarely spend more than a couple weeks at a time now). 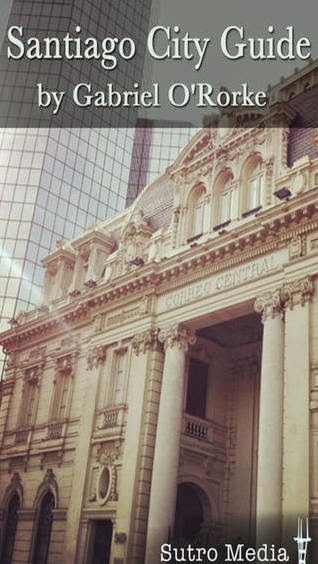 Like other similar apps, including my own, the Santiago City Guide approaches the destination via several sortable categories: neighborhoods, overviews, activities, architecture, art and culture, bars and drinks, cafés, daytrips, family-friendly, food, hidden gems, hotels and hostels, indulgences, music and dance, outdoors, and shopping, plus a few others. That said, I find the organization a little confusing, with overlapping areas that, to me at least, make it a little awkward to find what I already know is there. For instance, the app lists a large number of sights for Santiago’s downtown (Centro) under the “Everything” heading, but doesn’t give an overview, though it does provide detailed information on smaller neighborhoods such as Barrio Yungay that lie within Santiago Centro (which, in fact, is an independent municipality). At the same time, it doesn’t provide comparable details on the adjacent Barrio Brasil, which has a greater density of sights and services (some of which do appear in the app), while identifying wealthy Las Condes as a “barrio” when it’s a separate municipality within Gran Santiago (Greater Santiago). None of this reduces the quality of the coverage, but it did cost me more time to find the items I was seeking. When I did locate descriptions of well-known restaurants such as the Peruvian classic Astrid y Gastón and the inconspicuous sandwich shop Fuente Mardoqueo, I think it might take others longer to do. That said, once you know it’s on the app, the map function makes it easy to locate geographically; the descriptions are brief but useful, with a relatively small number of Instagrammatic photos. The app would also benefit from a systematic summary of public transportation, including the exemplary Metro and the Transantiago bus system. It’s worth emphasizing that, while I’ve pointed some things that bother me a little, they’re easily remedied and frequent updates become available at no additional cost. It’s also interesting to see another writer’s perspective that includes some items that simply would not occur to me – most notably an organic hair salon and a Pilates studio. It’s worth adding that the app (like my own) is also available in an Android version and that, at just US$2.99, the price is certainly right. What to call them? There are numerous options but, as a matter of English-language style, I’ve always preferred “Argentine” over “Argentinian” (occasional variant “Argentinean”), partly because it consists of nine letters and three syllables, rather than 11 letters and five syllables. Even if space is not the issue in digital media that it still is in print, less can be more. “Argentinian” also sounds clumsy to me – to use another example, I have heard a handful of English speakers use “Chilenian” instead of “Chilean,” but that really offends my ears. That’s even though, when I first visited Chile in the late 1970s, I used an equally painful hyper-correction chileño in lieu of chileno when my Spanish was still primitive. My new Chilean friends must have cringed, but they were far too polite to correct me. Then, of course, there’s the issue of how to pronounce “Argentine”: with a long i (“Argentyne”) or a short i (“Argenteen”)? I prefer the latter because it more closely approximates the Spanish argentino but, in Britain, the former was also a way to refer to the country (as in “the Argentine”). I would never use that, as it sounds a bit archaic, even colonialist, but it has a certain cachet nevertheless. That said, I don’t claim to be an authority in lexicology, so I turned to Andrew Graham-Yooll (pictured above) for his opinion. 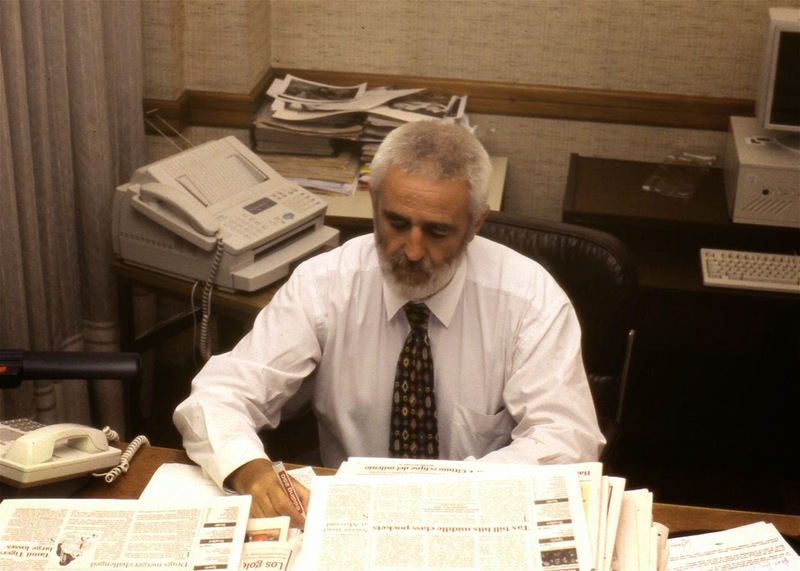 Andrew, editor of the Buenos Aires Herald during some of its most illustrious (and harrowing) times, is (along with Chile’s Argentine-born Ariel Dorfman) among the most thoroughly bilingual individuals I’ve ever met. He is not just an accomplished journalist (A State of Fear), but also writes history (The Forgotten Colony), fiction (Goodbye Buenos Aires) and even poetry (Se Habla Spanglés), which he even translates between the two languages. One supporting personal anecdote: When my wife learned English from a Cambridge-trained Italo-Argentine instructor, “Argentine” was the usage of preference, and I’ll stick with that (though she pronounced it with the long i, which I will continue to ignore).